Are you interested in off-grid options to save money at home? One of the best options is to use ways to harness solar power. Solar power can be used for hot water and to heat your home. 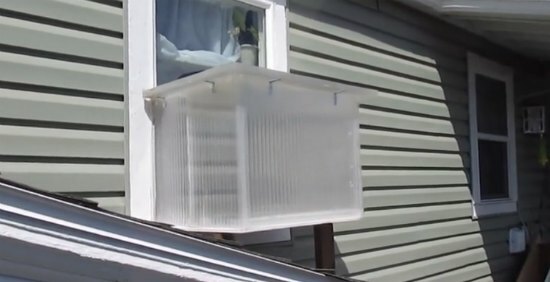 All you will need to do add a new heating option is to build a window box solar heater. A window box solar heater can also be used as a solar oven to cook a meal. This is a great option when your home lacks air conditioning and you do not want to use the oven in your kitchen. All you need for this project is a few greenhouse panels and a few tools. You will be using solar fans when you build a window box solar heater. The solar fans will push the air that is in the box into your home. This means absolutely no electricity is needed when you need heat in your home.